The Musings of a NICU Mommy: What is it like to be a NICU Nurse? I have been a NICU nurse since I graduated in 2003. 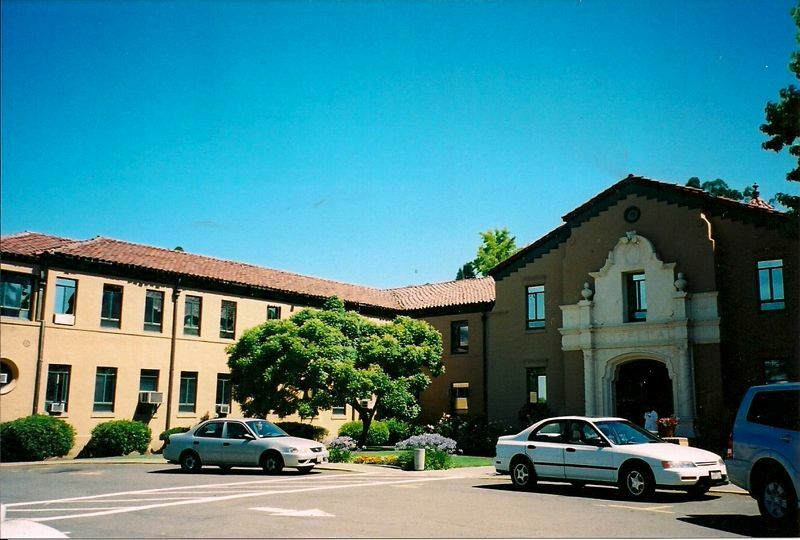 I was hired at my first interview at Children's Hospital in Oakland, California. It was a great experience and was everything I had ever dreamed of. 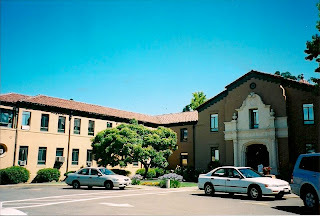 God allowed multiple circumstances into my life to bring me to the place where I am now, Sutter Medical Center of California. 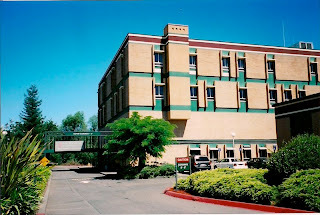 I have been working in Sutter's NICU for the last 8 1/2 years. I absolutely love my job working with sick newborns and premature babies. People always ask if how I can stand to work with the babies. They think it is too hard. But most days it is amazing and wonderful. I am assigned one to three babies to take care of depending on how sick they are. The really sick babies need one or two nurses taking care of them every minute. I love making sure that they get the absolute best care possible. I try to find little ways for their parents to bond with them and see them as their sweet treasure instead of a little one that they are separated from. I personalize their care by making a cute name card for them. I want the parents to know that we see them as a person and not just "the seizure baby" or "the vent baby". I help them learn how to touch their baby in a way that brings comfort to them. They are encouraged to talk to them and get involved in their care. These babies are challenging as they require vital signs at least every hour, sometimes every 10 minutes or more often. They have central lines (IV's in the belly buttons), antibiotics, other meds, xrays, suctioning. Often they are on oxyen support with a ventilator, CPAP (a tube on their nose that pushes air into their lungs making it easier to breathe) or other support. They often forget to breathe and turn blue in seconds if you don't open their airway, suction them or just touch them to remind them to breathe. It sounds overwhelming, but it is just second nature to me now. I can figure out what they need quickly and step in to make it right and settle them down. It is amazing holding a fragile life in your hands and realizing that you are part of the big picture in helping them to heal. I also enjoy the preemies who are in our unit learning how to eat and trying to grow big enough to keep their temperature up all by themselves. We call them our grower/feeders. For the most part, these babies are past all the issues they faced when they were just born. They can breathe with little to no support, we can wrap them in blankets and hold them instead of keeping them on a table with just their diaper on and they are learning how to eat. The nights I take care of two or three of these babies are so relaxing for me. I still have to take their vital signs and monitor them carefully, but I also get to snuggle them in my arms as I feed them. There is nothing like rocking a tiny infant who has fallen asleep in your arms while the unit is quiet and calm. (I work nights and in between admissions we have very quiet and peaceful times in the unit) I'm not allowed to kiss them, but I do love stroking their foreheads and smelling the sweet baby smell. My favorite babies are the 3-5 pound infants. They just fit in my arms perfectly. On good nights with no potential admissions looming over us, I bathe them. Often I wrap them in a blanket and let them soak in the tub under a warmer. This allows a baby that normally would flail and cry through a bath to just relax and almost go to sleep. They have been hurt by us so often that they really need time where they can feel soothed when they are touched. I love doing little things like this for babies that have been in the NICU for months and have had so many painful experiences. A gentle, calm touch goes a long way. Most nights however, are not spent in direct patient care with a baby. 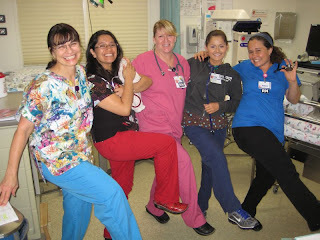 I am often the charge nurse on my unit. When I'm in charge the night for me can be calm or super crazy. My basic duties are to complete all the paper work, do a few audits, give breaks to every nurse on my unit and generally help out a nurse who has a busy assignment. If a mother/baby nurse needs someone to assess her baby to see if it needs to be admitted to the NICU, the charge nurse will do that as well. 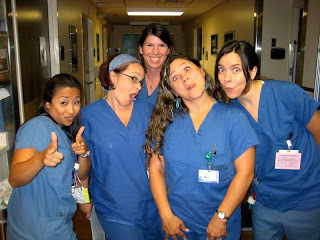 Here are some of the fun L&D nurses that call me to the high risk deliveries. Love those girls! I am also the go-to-girl for every high risk delivery. If an Labor and Delivery (L&D) nurse thinks that a baby may have a problem, she will call me to attend the delivery. (can I tell you how cool it is to see so many babies brought into the world!!!) I attend the delivery of all babies who heart rates are consistently dropping during contractions, have meconium (baby poop) in the amniotic fluid, need a vacuum to get them out, are premature or just looks "bad" on the fetal monitoring strip. Many times the baby will need a few minutes of help at the beginning and then they are fine and can stay with their momma. However, they sometimes need quite a bit of help and/or need more monitoring and help than they can get in the room with the mom. At that point we take them to the NICU to admit them. Normally I will do the full admission on them since everyone else has a full assignment already. Our team is awesome though. If the NICU nurses are not actively caring for their patient, they will come over and help out. A stable NICU admission requires at least 4 hours of hands on care and paperwork to get everything ready for the next nurse. If they are sick and need a lot of intervention, they will generally need 2-3 nurses helping out for 4-8 hours to get everything done and to get them stable. I enjoy these nights too. It is a challenge to me to give them excellent care while still getting everything else done. Mother/Baby staff that I love working with. Occasionally we get a call from the ER asking us to come help start an IV on a patient that they can't get. Normally it is on a newborn or one year old. Their veins are sometimes smaller than the lead in a pencil. They are very difficult to start IV's on. I've gotten called down for several babies/toddlers and I'm proud to say, got every IV start but one. It is a whole lot different starting IV's on bigger kids who fight back really hard but still don't know enough words to tell you to go away. Most of the kids are too sick to fuss much anyway. That is my life on most of the nights that I work in the NICU. I have great days! Days where I go home and can say that I have literally saved a babies life. They are hard days, but so rewarding. 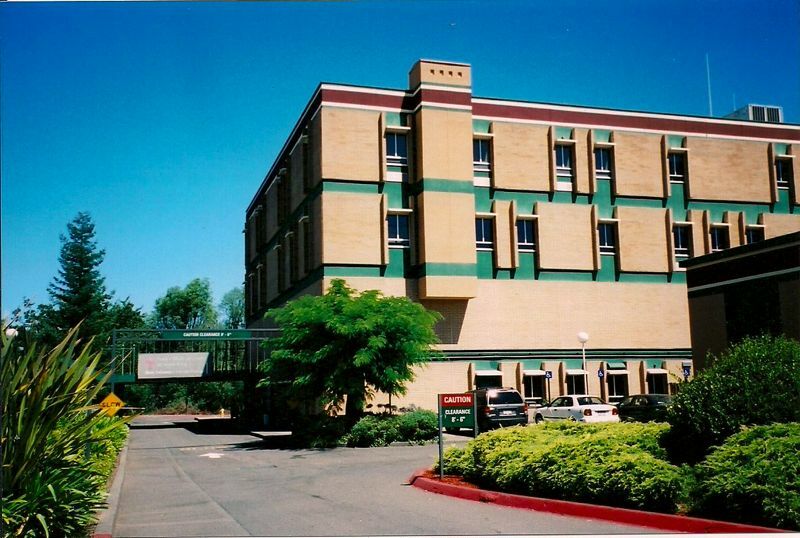 This is the hospital where I work. I love working for Sutter. One of the paramedics that came to the ER to drop off a patient had said, "Kaiser has the gold, Memorial has God, and Sutter has Soul!" I totally loved it. We do have soul. 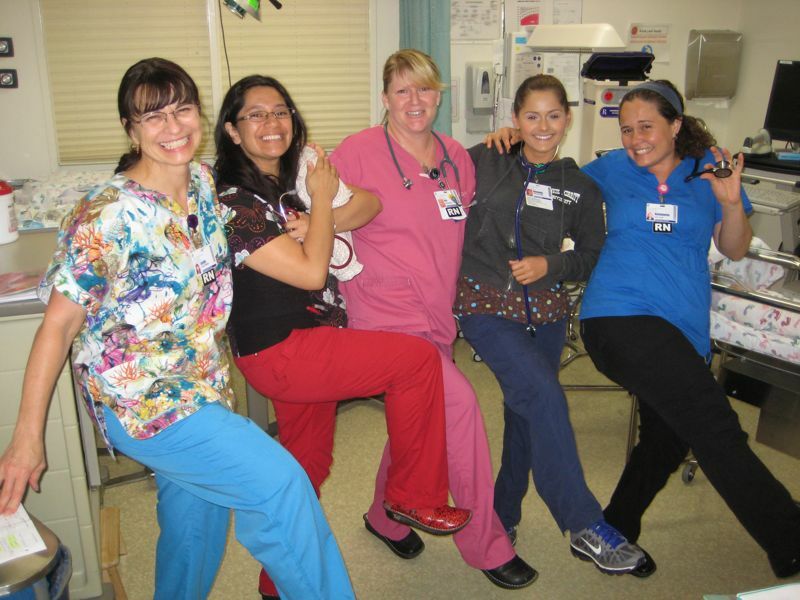 The people that work at Sutter are passionate about what they do and we strive for excellence.